ISLAMABAD: Supreme Court has given former President Pervez Musharraf deadline of 2:00 pm Thursday to return to Pakistan. 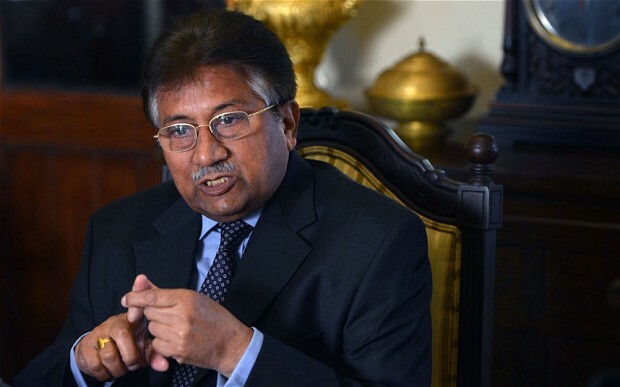 Earlier on, Chief Justice Saqib Nisar had said that Pervez Musharraf will not be arrested if he returns to homeland. Chief Justice added that he will, however; have to face the trials ongoing against him in court of law. The retired army chief was allowed to file nomination papers to contest in upcoming elections 2018 on condition he would return. CJP Saqib Nisar had said that we will allow Pervez Musharraf to contest elections if he returns to Pakistan. He further said that no one will arrest Musharraf when he returns. Today CJP said that the Supreme Court assured Musharraf he would not be arrested, but we are not bound to give written assurance of it. CJP added that failure to comply with court orders will mean we will take action against the retired general. CJP Saqib Nisar questioned why was Musharraf scared of returning to the country? He added that Musharraf should come to court if he is a commando. Former President Musharraf was charged with high treason for events that occurred in 2007 where he ordered arrests of Judges. He was also charged in orchestrating assassinations of Benazir Bhutto and Akbar Bhugti. His name was placed on the Exit Control List for his involvement in many cases. However; Supreme Court removed his name from the ECL to get treatment for his ailment from abroad. Since then Musharraf has been in Dubai in a self-imposed exile. Musharraf has vowed to return to return to the country several times on media. However; he has yet to make that move.